Like most things, the cost of something will determine whether or not you acquire it. The reason you don't have that awesome car you've always dreamed of having is because you can't afford it. If you had the money it would be parked in your garage right now but you are not that rich [yet, right?] so boo hoo for you. 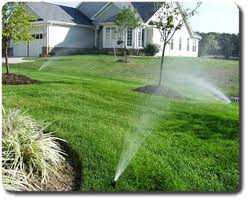 So how much does a sprinkler system really cost? All you basically know is that sprinkler systems are expensive. You don't have the brains or the ability to install one yourself which means you are going to have to pay some over-priced sap to do the work for you. You probably haven't even asked for a quote because you know it's going to be some gigantic 4 or 5 digit number that you never even knew existed. Let's try to figure out just how expensive automatic sprinkler systems are, shall we? Let's start with the his first point. Choosing the type of sprinkler system you want is like choosing a gun. Do you want automatic? Semi-automatic? Not automatic at all? Do you want it to do some serious damage? Or are you just looking for something small? 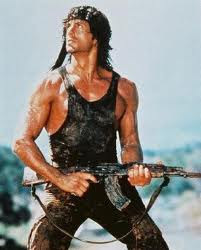 If you are the Rambo of sprinkler systems, you are going to want an underground, fully automatic, 12 station, full powered, Orbit Watering system with attachable Drip Irrigation System. These babies are going to cost you anywhere between 400 dollars and 2000 dollars. If you are not a regular hunter and just want a gun to have around so that you can defend your family in the case of an intruder, you might want a hose faucet watering system. 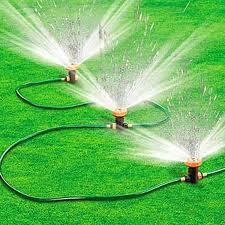 Using your regular old garden hose, you can have automatic watering! Just get yourself a Hose Fauceting watering timer like the Orbit 62001 and you will be good to go! And if a BB gun is more up your alley, consider planting a nice little garden with some Vincas and maybe a tomato plant and install a drip irrigation system to keep your little garden thriving! The size of your yard is an obvious factor because the amount of supplies you are going to need will depend on how much ground you are trying to cover. If you have a large yard, it is probably a better idea to go with the Rambo, underground sprinkler system so that you don't have to move the garden hose every ten minutes. Even though an automatic Hose Faucet Watering system will turn on and off on its own, unless you have a travelling sprinkler, you are still going to have to be responsible making sure everything gets water. Also, the size of your yard will determine how much water you use which also plays into the total cost of your sprinkler system. Which brings us to our next point. Who provides the water in your town? Is it the city? The reservoir? The river? All of these things will probably come with a different price tag. You could use recycled water (unless your state regulations forbid it) and keep rain barrels and use the natural rain water as your sprinkler system's source, saving you buckets, or even gallons of money! So how much does a sprinkler system cost? Well, I guess it just depends.